Beauty & Functionality - all in the same home! A blend of classic Craftsman exterior and contemporary open interior, 10 ft ceilings downstairs throughout add an abundance of natural light. A private enclosed Study with French Doors allows for the perfect ''work from home'' scenario. 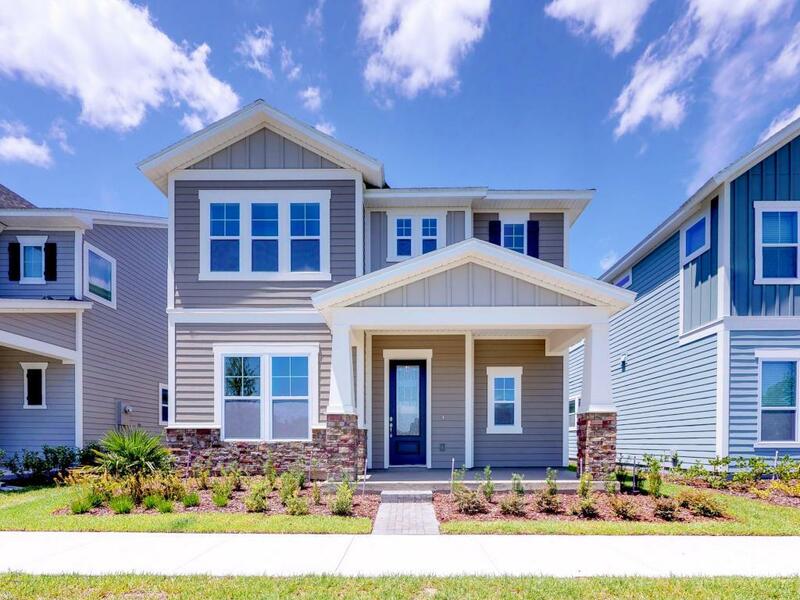 Wake every morning and enjoy coffee on your front porch overlooking the pond or enjoy barbeques with your friends & family on your oversized rear lanai. READY NOW! Call for more information.